‘The Wolf’ due out soon! Whew, it’s been a while since I updated this blog! However that’s nothing compared to the time span between the days when I used to cartoon on a daily basis and sitting down to draw and ink an eight page graphic short for Pulp Literature. It’s been a long and indirect path to here. 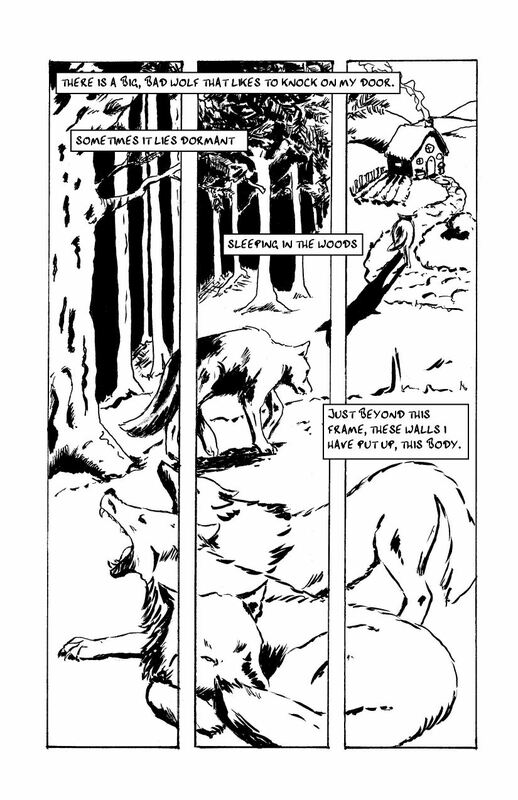 I started drawing comics back in university, as a diversion from studying population genetics or Paradise Lost. Finding the Cartoon Centre in London UK fuelled my scribbling and gave me some professional guidance under artists Dougie Braithwaite (Punisher) and David Lloyd (V for Vendetta, Aces Weekly). In a couple of years’ time I had about a hundred pages of a graphic novel drawn, inked and lettered. Then children came along and I put my pencils and brushes away, out of the reach of tiny hands, and filled the art area with fingerpaints instead. And then my co-editor at Pulp Literature, Mel Anastasiou spotted some of those hundred pages and suggested some of them should go in Pulp. Well, there’s no way those old pages are going to see the light of day, but her suggestion did reignite my interest in comics art. When my Academie Duello colleague Kimberleigh Roseblade shared her slam poem ‘The Wolf’ with me my head was instantly filled with images I wanted to put on the page. From there it was only a short jump to realize they needed to be in sequential art form, and that Pulp was the ideal vehicle for the eight-page story that resulted. And so, in this meandering way, my first published comics story will be arriving in print any day now. It’s a little rough around the edges — I haven’t managed to shake all the rust off my inking fingers yet — but I’m mostly happy with it. And kind of thrilled. I’ve become used to seeing my words on the printed page, and even my Allaigna sketches, but actual comic pages in print after all these years is weird and wonderful. 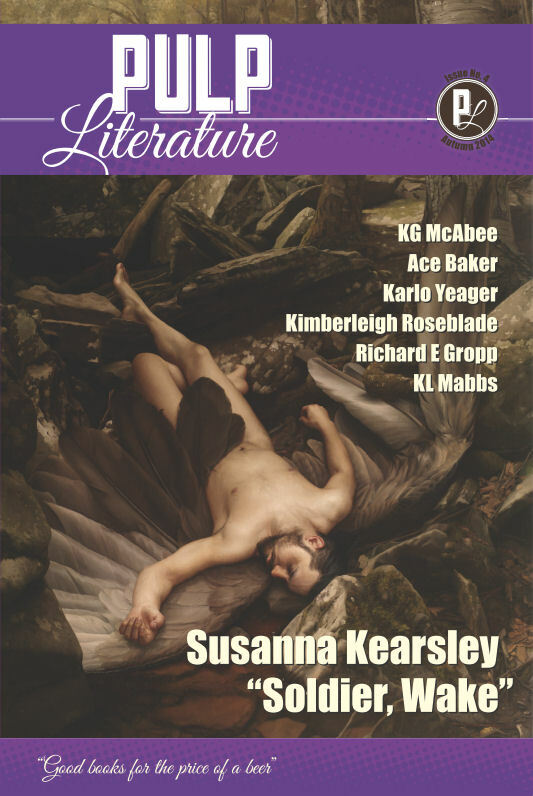 ‘The Wolf’ is available in Pulp Literature Issue 4, Autumn 2014. This entry was posted in Artwork, Blog, Pulp Literature and tagged David Lloyd, Dougie Braithwaite, Kimberleigh Roseblade, Pulp Literature, Pulp Literature issue 4, The Wolf. Bookmark the permalink.